How did the deeply flawed George W. Bush ascend to the highest office in the nation, what forces abetted his rise, and perhaps most important have those forces really been vanquished by Obama’s election? 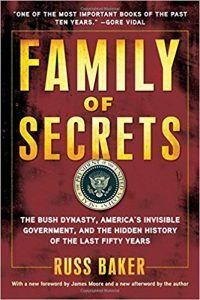 Award-winning investigative journalist Russ Baker gives us the answers in Family of Secrets, a compelling and startling new take on the Bush dynasty and the shadowy elite that has quietly steered the American republic for the past half century and more. Baker shows how this network of figures in intelligence, the military, oil, and finance enabled and in turn benefited handsomely from the Bushes perch at the highest levels of government. As Baker reveals, this deeply entrenched elite remains in power regardless of who sits in the Oval Office.Family of Secrets offers countless disclosures that challenge the conventional accounts of such central events as the JFK assassination and Watergate. It includes an inside account of George W.’s cynical religious conversion and the untold real background to the disastrous response to Hurricane Katrina. Baker’s narrative is gripping, sobering, and deeply sourced. It will change the way we understand not just the Bush years, but a half century of postwar history and the present. 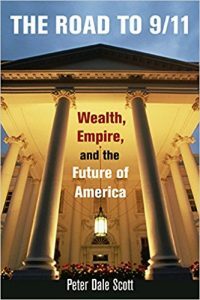 Distinguished investigative reporter Joseph Trento has written the most authoritative indictment of CIA splinter groups, two generations of Bush family involvement in illegal financial networks, and the funding of the agents of terror. Prelude to Terror reveals the history of a corrupt group of spymasters — led by Ted Shackley — who were fired when Jimmy Carter became president, but who maintained their intelligence portfolio and used it to create a private intelligence network. After this rogue group helped engineer Carter’s defeat in 1980 and allied with George H.W. Bush, these former CIA men planned and conducted what became the Iran-Contra scandal and, through the Saudis, allied the U.S. with extreme elements in Islam. 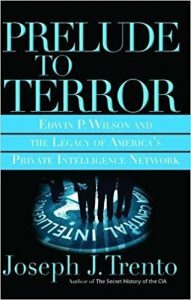 The CIA’s number-one front man, Edwin P. Wilson, was framed by Shackley and his cohorts so that Wilson’s operations could be taken over. For the first time the story of how CIA director George H. W. Bush was recruited into this network, and brought it into the bosom of the Saudi royal family, is told in detail, as well as how this group’s manipulation of the CIA bureaucracy allowed Osama bin Laden’s fundraising to thrive as al Qaeda flourished under Saudi and CIA protection. 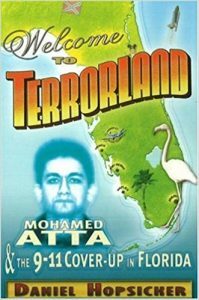 Investigating the associations of Mohamed Atta and other terrorist pilots in Venice, Florida, as they prepared for the 9/11 attacks, this work discloses the FBI’s massive post-attack cover-up to conceal their knowledge of the terrorists’ activities. 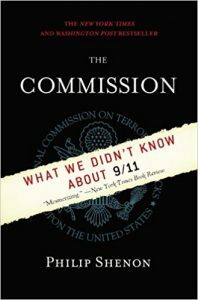 Unreported stories including the assassination attempt on President George W. Bush on the morning of September 11, 2001, and the rampant drug trafficking of the flight school financier are fully discussed, with attention to the stunning evidence of the CIA’s knowledge that hundreds of Arab flight students were pouring into southwest Florida. 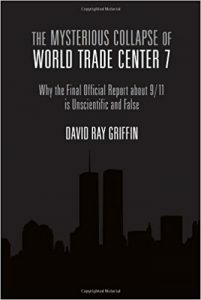 This examination of the conspiracy behind the 9/11 investigation and the CIA complicity in the illegal activities that allowed the known terrorists to continue offers truth behind the “official” story of the attacks. 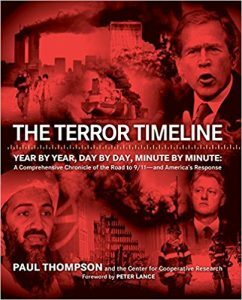 Paul Thompson’s The Terror Timeline offers a complete and thorough history of the many roads that converged on 9/11, including the development of Islamic fundamentalism, the activities of bin Laden and al-Qaeda, and the failures of U.S. investigations and counterterrorism efforts. It traces the actions (and inactions) of every important figure in the war on terror, both before and after 9/11, bringing them together in a volume that offers a comprehensive and provocative look at this complex subject. 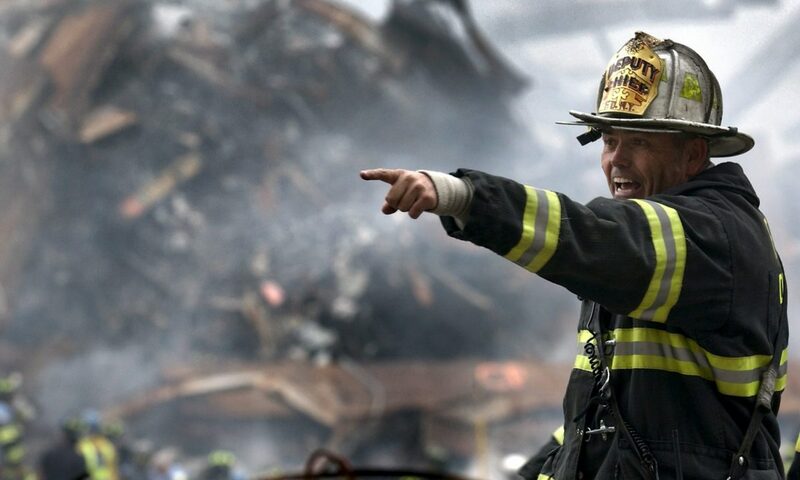 Packed with little-known facts and disturbing questions, The Terror Timelineis the first complete reference guide to the events of 9/11 and the war on terror — the definitive primer on the most momentous issue of our times. Vehement widerspricht Andreas von Bülow der offiziellen Version der Anschläge vom 11. September: Ohne geheimdienstliche Unterstützung war eine solche Operation nicht durchzuführen. 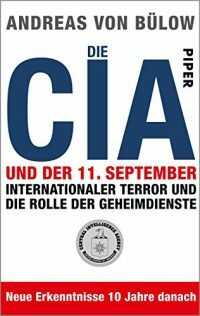 Seine brisanten Thesen sind ein Angriff auf die Verlogenheit der CIA. Nur Stunden nach dem Terroranschlag vom 11. September hatte die US-Regierung Fotos und Steckbriefe aller Attentäter, wusste sie Bescheid über alle Drahtzieher und Hintermänner. Und blitzartig war auch Präsident Bushs Strategie gegen die Mächte des Bösen fertig. Zufall? Andreas von Bülow, früherer Bundesminister, zweifelt die offizielle Version vehement an. 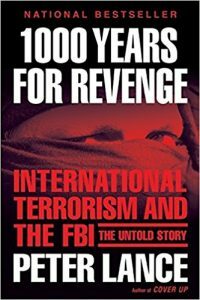 1000 Years for Revenge is a groundbreaking investigative work that uncovers startling evidence of how the FBI missed dozens of opportunities to stop the attacks of September 11, dating back to 1989. Award-winning journalist Peter Lance explains how an elusive al Qaeda mastermind defeated the entire American security system in what the author calls “the greatest failure of intelligence since the Trojan Horse.” Threading the stories of FBI agent Nancy Floyd, FDNY fire marshal Ronnie Bucca, and bomb-maker Ramzi Yousef, Lance uncovers the years of behind-the-scenes intrigue that put these three strangers on a collision course. An unparalleled work of investigative reporting and masterful storytelling, 1000 Years for Revenge will change forever the way we look at the FBI and the war on terror in the twenty-first century. 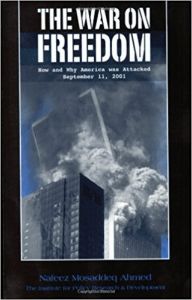 A disturbing exposé of the American governments hidden agenda, before and after the Sept.11, 2001 terrorist attacks. A wide range of documents show U.S. officials knew in advance of the “Boeing bombing” plot, yet did nothing. Did the attacks fit in with plans for a more aggressive U.S. foreign policy? Nafeez Ahmed examines the evidence, direct and circumstantial, and lays it before the public in chilling detail: how FBI agents who uncovered the hijacking plot were muzzled, how CIA agents trained Al Qaeda members in terror tactics, how the Bush family profited from its business connections to the Bin Ladens, and from the Afghan war. A “must read” for anyone seeking to understand Americas New War on Terror.